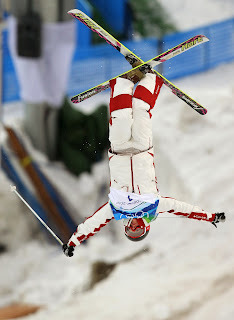 Crazy Canuck, Ken Read was on the first lift of the season at Banff Mt Norquay this am. Around 200 skiers and riders felt the wind in their hair and the snow under their feet today. 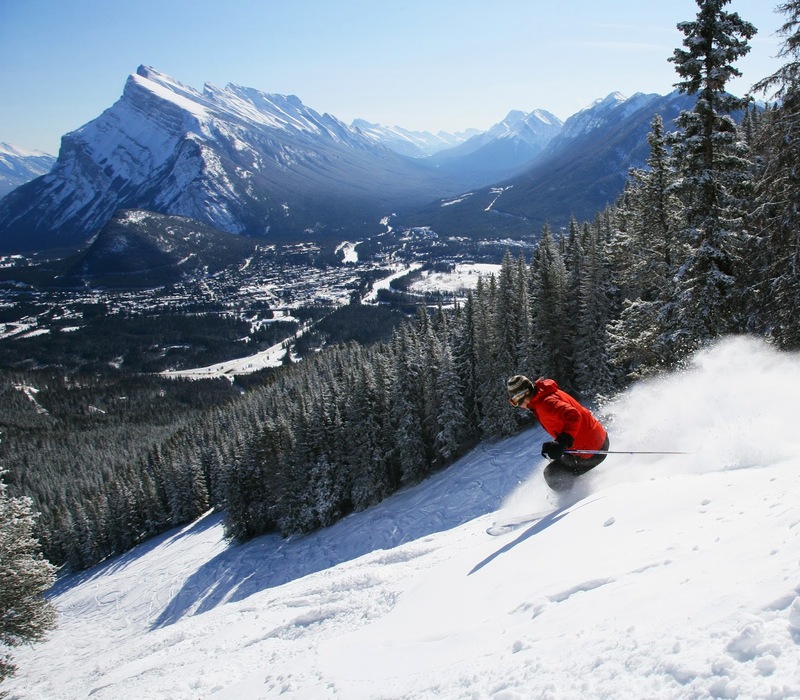 First Western Canadian Ski Resort to open: Banff Mt Norquay! How I wish I was in Banff, AB, this weekend – Mt Norquay is opening on Nov 1 and I would love to be there, feeling that start-of-season euphoria with first turns on snow, thigh-burn and the miracle of muscle memory! I skied Mt Norquay every Saturday for four whole seasons when my kids were in the Nancy Greene racing program. It was a wonderful experience to get to know every inch of a ski hill and see it through every permutation of snow and weather. Whenever I go back there, I have a proprietary feeling as though I am checking on my own ski hill. Last year we had incredible powder there on Christmas Day! 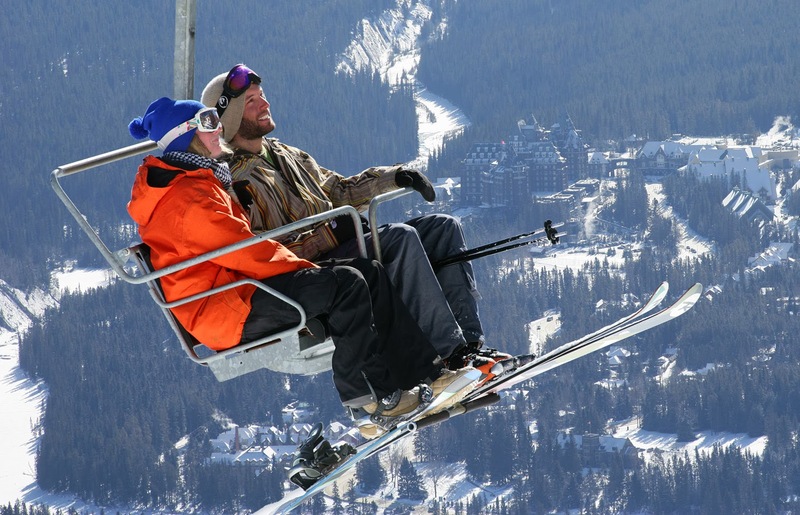 Although the smallest of the Ski Big 3 areas (along withSunshine and Lake Louise), Norquay has much to offer to every level of skier as well as non-skiers with its extensive tube park, snowshoeing, cross country trails and newly renovated panoramic café. And, with its own micro-climate, it can often be doused in snow when other resorts are dry. It is the ski hill to go “the morning after the night before”, jokes Ken Read, Calgary’s former Olympic and World Cup downhill champ. Part owner of Banff’s closest ski hill, Read told me a few years ago that he loves the fact that it is just 10 minutes drive from town. 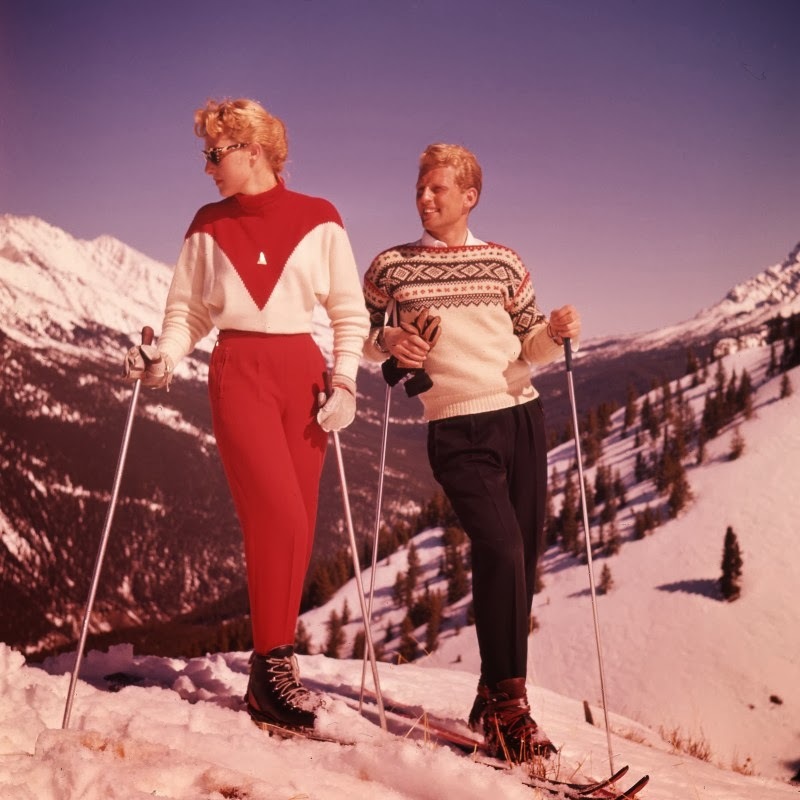 “If you’ve had a good time out the night before, slept in a little later maybe, come to Norquay and ski a couple of hours to make good use of the time - and energy - you’ve got available,” he advises. The ski by the hour ticket system at Mt Norquay makes this possible, unlike most ski hills where you have to buy either a full day ticket or a half-day pass from lunchtime. 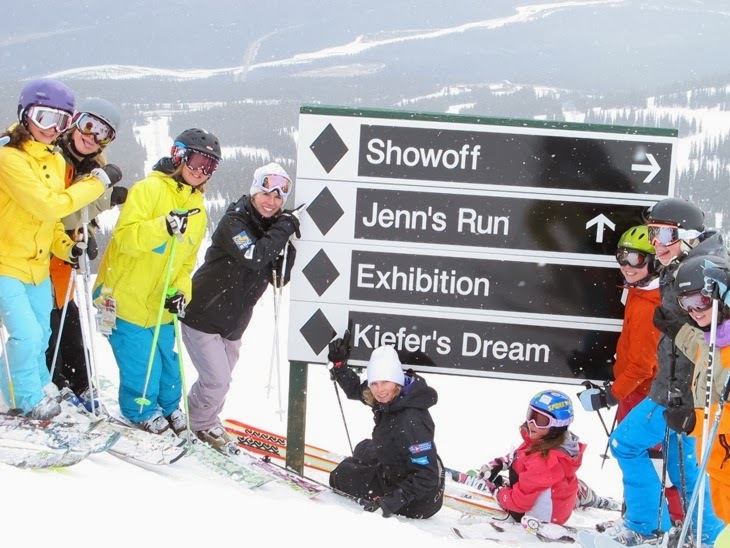 Read is in good company at Norquay, where all the owners and permanent staff are lifelong skiers and ex-racers. But he is still amazed that some locals don’t know about Norquay’s hidden gems. “We have such a nice social environment here – family and community are priorities,” he says. It’s also a great place to escape crowds during holiday season. Reed advocates wintersports for parents concerned about their kids’ physical activity level during the long winter months. “Our racing programs go from age five or six to 12 which is the crucial age when you have to touch kids with sport and fitness,” he maintains. Mt Norquay is host to Banff Alpine Racers, Quickies, Weekend Warriors as well as many programs for boarders and free-riders. There are racing events for all ages throughout the season as well as fun family activities including the extensive Tube Park which has up to eight lanes and its own separate lodge and carpark. Every weekend hundreds of families congregate in the convivial atmosphere of Cascade Lodge to meet with their friends and ski groups. The timber-framed, charismatic lodge is centrally positioned by three of the five lifts, overlooking the beginners’ corral as well as the terrain park area. It’s great for people-watching and cosy, too, with sofas positioned around the fireplaces both down and upstairs. You can ogle watch advanced skiers pelting down the Lone Pine, one of the toughest black diamonds in the Banff area, while listening to the dulcet tones of the live performers in the pub upstairs. The Van Harens from La Combe have been skiing Norquay since dating days back in 1980. They taught their daughters to ski there and now recreate together as a grown-up family foursome. “It’s fun as we can split into groups, but it is small enough to meet up again easily,” says daughter, Gina Van Haren. “There is great variety too if we want to do the more daring runs up the North American.” The family also likes the lack of crowds and predominance of skiers on the slopes rather than snowboarders who tend to stick to the terrain park. 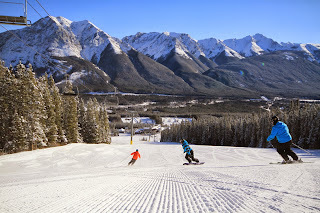 During the week, Norquay can be a haven of hassle-free skiing on untrammelled snow. every square foot. I got there once just in time for the snow patrol barrier on Imp to be raised, opening up wonderful waist-deep powder as well as roller-coaster pillow bumps in Bruno's Gully. On wintry weekdays Norquay’s Lone Pine Lodge is a popular mum and baby hangout. Christie Pashby from Canmore can often be seen in ski gear feeding infant daughter Manuela on the fireside sofas. “I get the locals’ pass and during the week come with girlfriends and babies and we take turns skiing and babyminding,” Pashby says. She loves the convenience of parking near the lodge during the quiet weekdays and bringing the stroller in. “Everything funnels back to the same spot so we don’t lose each other and we can all easily meet for lunch,” she explains. Manager, Andre Quenneville is a fan of the old-fashioned North American two-seater chair which nowadays even takes foot traffic. “It’s so quiet going up the North American that it’s free therapy, I often think. You ascend through the trees in total peace and quiet and then emerge into the open and get the view over the whole of Banff,” he says. Non-skiers can now go up to take in the view and try out the cuisine in the CliffHouse, a renovated 1950s teahouse right at the top of the chair. A veteran of the Mountain Smoker race, Quenneville also uses the double black diamond runs there for ski fitness. “It’s the best hill to get a 20 minute workout in one run and if you go on and do three or four more, that’s a day’s skiing,” he says. He should know – the Smoker is an endurance test, involving racing down the Lone Pine as many times as possible in three gruelling hours. Quenneville clocked up 21 descents for second place a few seasons back but the current record - held by Bob Rankin for 24 runs or 31,200 vertical feet since 1981 – remains unbroken. First launched in 1976, the Smoker is a one day event with the qualifier in the morning and the contest in the afternoon, followed by beers afterwards “for those who can still stand up,” jokes Quenneville. Being in Banff National Park means that the scenery is breathtaking at Norquay. However, it also means that developing the hill and introducing new lifts is out of the question. So, Quenneville works hard with his 125 employees to make skiers and boarders have a great experience at the hill. 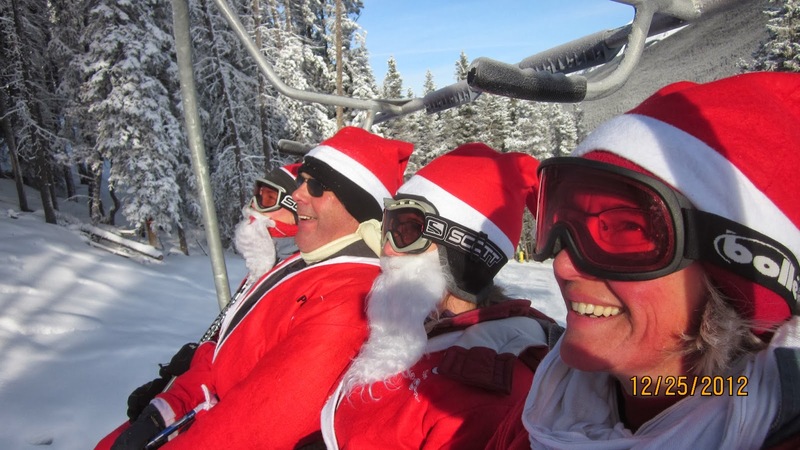 “It’s about us being attentive to clients and giving them what they want, whether it’s a cappuccino, a cheaper lift ticket, a lesson with a smiling instructor or getting on the chairlift with Ken Read,” he says. Snowmaking (over 85 % of terrain) and diligent grooming yield carefree cruisers off both the Spirit and Mystic Chairs. For those don’t like the steep incline off Spirit’s summit, there’s now a half-way stage or, alternately, a flat skate along the bottom right to the base of Mystic. Once there, skiers can spend the day trolling up and down the undulating carving runs. 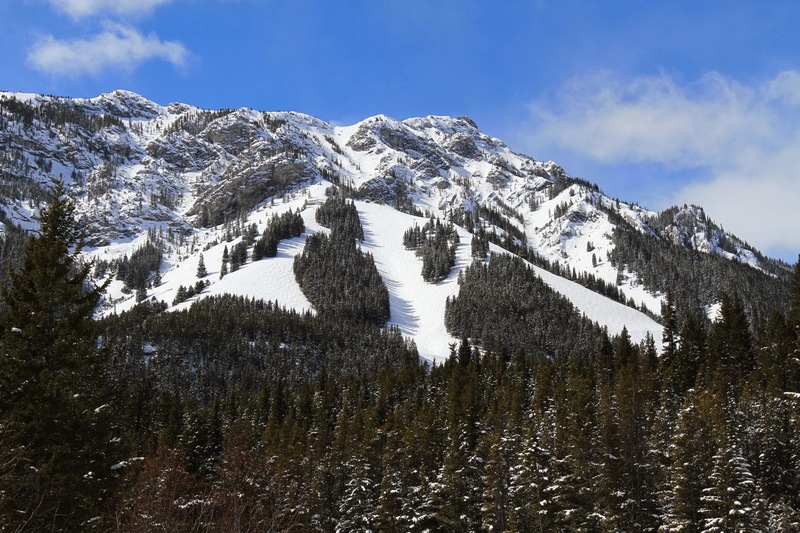 The intensive snowmaking program at Norquay costs around $600 per hour but means that the hill can open in late October or early November each year to nab the coveted status as first Canadian resort to open. But the mountain is by no means all groomed. “We let runs like Black Magic bump up with natural snow,” says Quenneville. The test is if you can ski the Black Magic bumps then you’re ready for the North American. Other secret stashes include Sheep Chutes, Gun Run and FM 2 which is a short hike up from the Mystic Chair. “Patrollers open the gate up when conditions are favourable and it’s pretty steep with trees each side,” he explains. Price point is one of Norquay’s aces, with several innovative ways to ski cheaply. The Power of Four midweek season pass is available every fall for four friends to get together and purchase a weekday pass each for around 100 bucks for five months’ skiing. 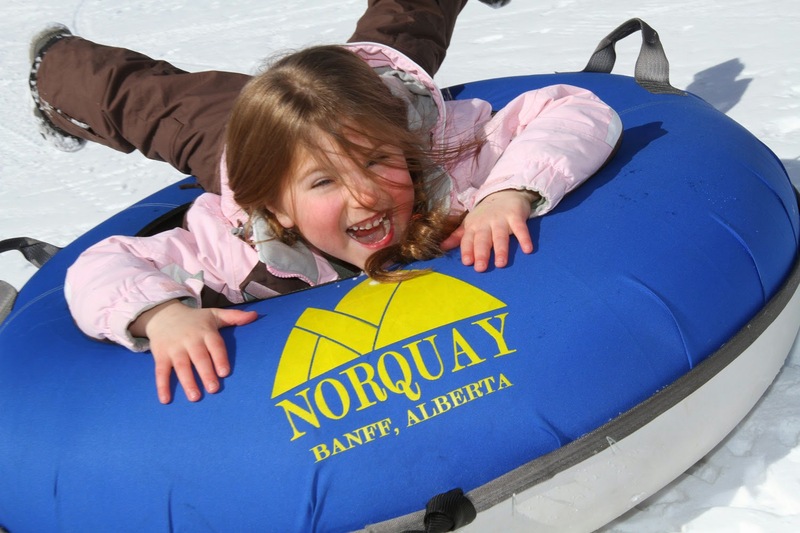 The pay-by-the-hour system means you just pay for the skiing you want to do and can combine the day with other activities such as tubing or visiting nearby Banff. There are packages to suit every standard and endurance level. Last season there were four Toonie Thursdays scheduled– Jan 17, Feb 21, Mar 21 and Apr 11 – a whole day for just $2 so look out for similar deals this season. And on Christmas Day skiers and riders dressed up as Santa ski for free. One of Norquay’s great advantages is its proximity to Banff, Canmore, Sunshine Village, Calgary and Lake Louise. 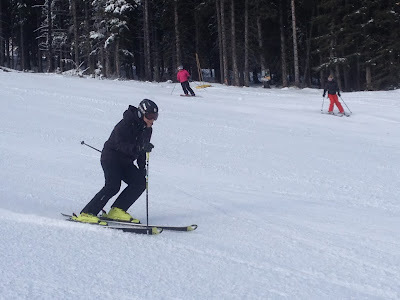 Visiting skiers often buy the Ski Big 3 pass enabling multi-centre snowsports at Norquay, Sunshine and Louise. “With people travelling nearer to home these days with flight surcharges and the global recession, it’s a great excursion for Calgary families,” points out Quenneville. “You can make a weekend out of it and it’s not too expensive these days with hotels and motels offering cheap deals.” The nearest place to stay is the Juniper Hotel but all Canmore and Banff hotels are easily accessed. 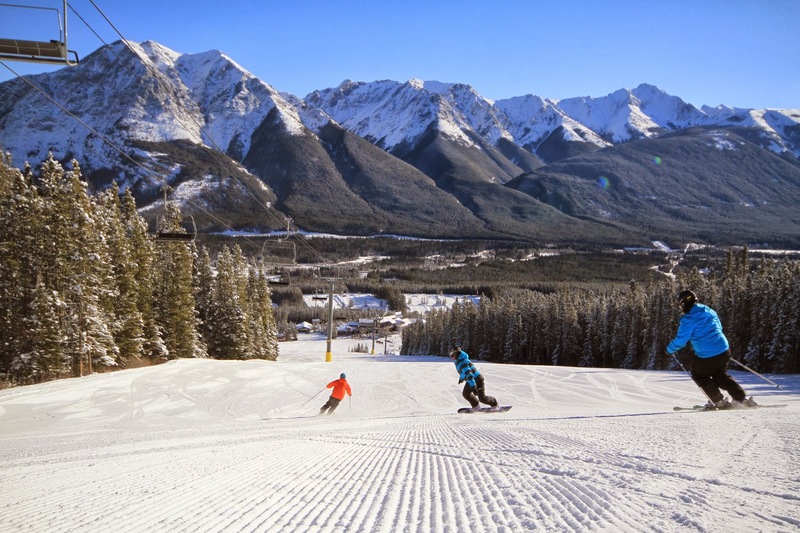 Apart from diversity of terrain from the gliding groomers on Mystic to the arduous bumps and powder on Gun Run, Norquay is famous for its terrain park. Designed by snowboarding photographer, Jeff Patterson, it evolves as the season progresses. Watch it grow on: http://www.norquaysbackyard.blogspot.com. Killington, VT is open for the season and Canada is about to follow! Great news - Canada is launching its first resorts next weekend with a battle between two Alberta resorts for first tracks on snow! Mt Norquay near Banff is slated for Nov 1 and Nakiska, 50 minutes drive from Calgary, is planning for a Nov 2 opening. Look out for insider tips on both these iconic ski hills next week. Having started sorting out my ski wardrobe, I’m now working on the itinerary for my Canada ski trip this December. As well as visiting Norquay and Nakiska, my ski safari will include Lake Louise, Sunshine, Castle Mountain, Fernie and Kicking Horse. to the summit of Jenn’s snow-doused domain. You can check out my Canada section right now for details about Lake Louise, Sunshine, Fernie and Kicking Horse, full of last season’s antics and anecdotes. I’ll be updating these with my new alpine adventures as the season goes on and also adding a story about Castle Mountain, possibly Alberta’s lowest profile resort. A secret playground of powder and glades, Castle is a “boutique” hill in its unique lack of real estate and mass marketing. Despite having only a hostel for visitors, it has six lifts, 78 trails, 8 alpine bowls and 3 terrain parks over its 3500 skiable acres as well as Canada’s most affordable cat-skiing area. And best of all, it has an average of 910 cm snowfall. The hostel is actually a fun place to stay with brightly decorated individual bedrooms and a communal kitchen and lounge where you can meet the other residents. If the hostel is full, there are hotels at nearby Pincher Creek. If you don’t see your favourite ski resorts here, email me on louise.hudson2011@gmail.com to let me know more proposed opening days. With Colorado open for business and Canada about to follow suit, it’s time to think about early season skiing. 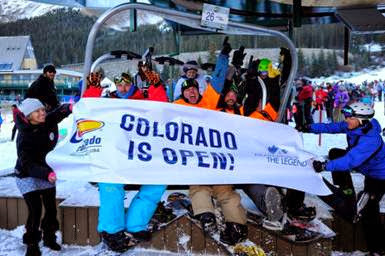 Arapahoe Basin was the first to open, followed by Loveland and Wolf Creek, and both Nakiska and Mt Norquay in Alberta are primed for action around Halloween. Granted it’s not the same as high season skiing with the promise of plentiful powder but first tracks on snow for the whole winter can be just as exhilarating. Everything is a first, from taking that initial chairlift, to igniting those thigh muscles, to having a beer and nachos in the bar afterwards. It’s been a long break for most people who generally stop skiing some time in late April. Hopefully they have continued with gym workouts and sporty pursuits in order to be ready for skiing or riding. But if not, it’s not too late: try the latest ski fitness programs at your local YMCA or check apps or websites for free programs such as Fitness Blender or NetFit. The latest buzzword at Golds is “functional fitness” whereby programs are developed to suit the proposed activity exactly. 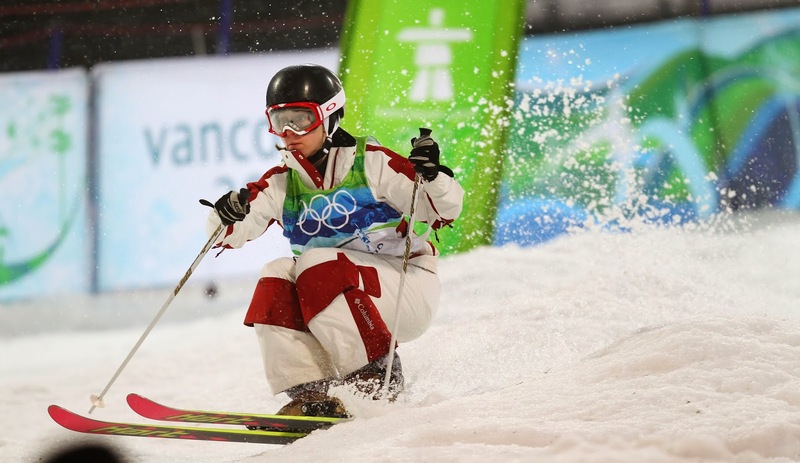 So check out their personal training tips for skiing or snowboarding. Getting on the slopes early season is also a great way to build up fitness and stamina gradually after the lazy languor of summer. I’ve always skied Sunshine, Mount Norquay and Lake Louise on opening weekends and it’s been invigorating to put an end to the blandness of shoulder season and get into gear for the winter. Of course, most years, only a few runs will be open at the start and snow may be sketchy – don’t take new skis – but it’s still such a thrill to manipulate your way down, with a heady mix of adrenaline, muscle heat and cold air, in that gorgeous mountainscape surrounded by fellow addicts. Even if you’re not anticipating skiing yet, now is a good time to get your gear in order. Check your equipment which may need tuning; get your boots out and make sure your socks are intact – nothing worse than holey socks first day back. Try on ski clothes which could need replacing or washing – don’t use fabric softener as it reduces waterproofing. Find your gloves (check for holes) and stock up on toe and hand warmers – cheapest when bought in bulk from Costco, Walmart, Sam’s Club or Amazon in advance of the season. Book your trips and plan ski passes now to take advantage of early season packages. Maybe this is the year to invest in heated gloves – mine are by Therm-ic and they make everyone jealous when they notice the battery lights. When skiing in Canada or Colorado, I’ve had many people – while defrosting their frigid digits in the lodge - ask to photograph them so they can remember the brand! My first tracks this season are going to be on December 5 at the Big 3 in Alberta, Canada. Where are yours going to be? If your favourite ski hill isn't here, let me know the proposed opening date and I'll include it next week. Happy Skiing!